The singer and Xtra Factor host has told fans he had been asking host Paddy McGuinness to get him on the ITV1 show. 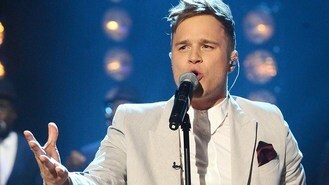 Olly, 28, made the comment as he teased a band member for being single during a performance in Blackpool, The Sun said. "We are in talks with Paddy McGuinness to get him on Take Me Out," the newspaper quoted the Thinking Of Me singer as saying. "Obviously he's got to join the queue - I'm already at the front." The X Factor runner up recently toured the US with One Direction and is set to release his autobiography.